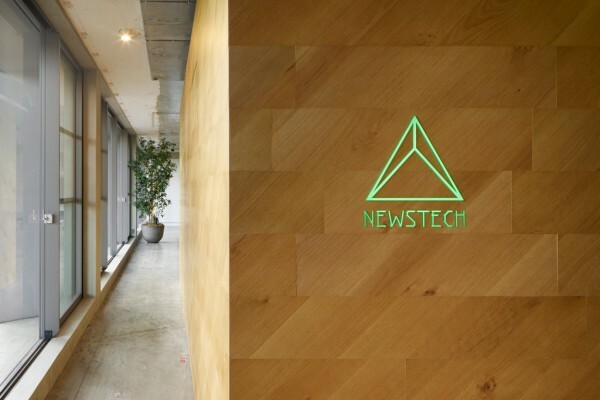 We performed the interior design for the office of NewsTech, whose main business is the development and management of smartphone applications. 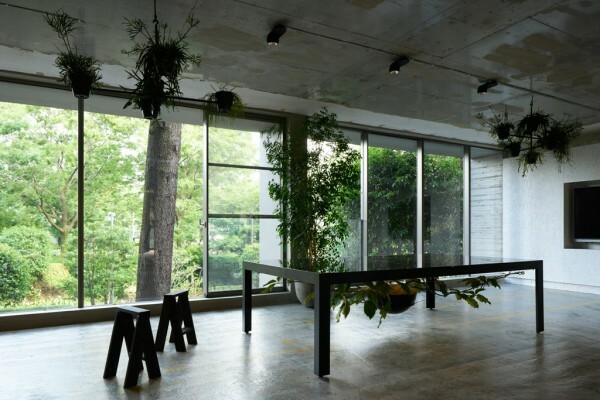 Being adjacent to midtown Tokyo, NewsTech required an office space that would reflect the pleasant green environment and the playful nature of the company. 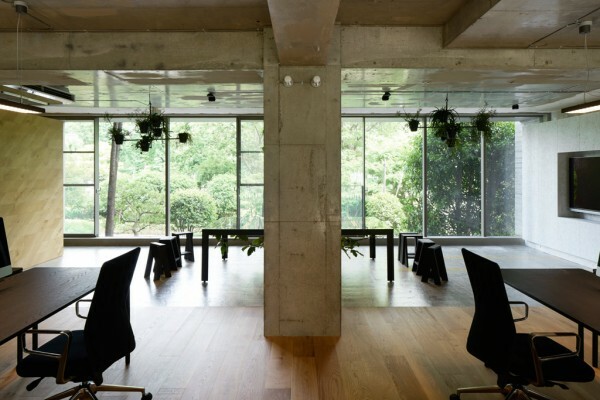 In order to maintain the two panoramic glass walls that look out towards the east and west, plumbing was integrated on the core wall side while the interior of the opposing wall is a storage area, and the whole space was configured as a large loft with the office space at the center. 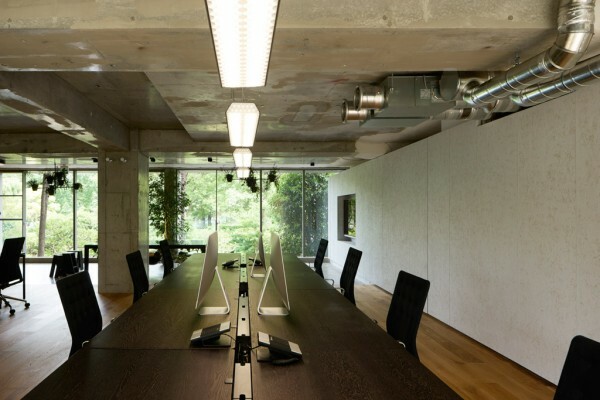 The office space features raised flooring finishes that continue into the wooden walls around the core. The midtown side is a free space that has a custom-made ping pong table with a colored glass tabletop installed in the center. 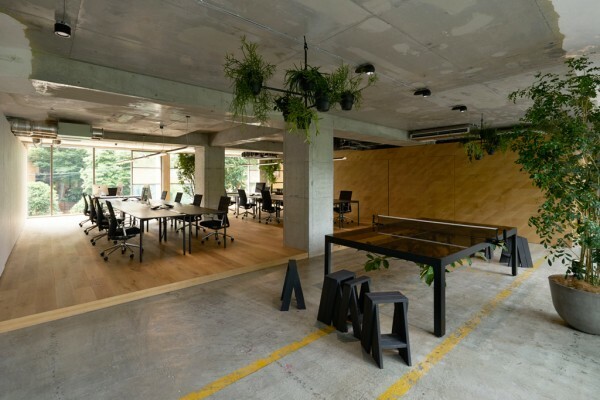 This free space with the ping pong table at its center serves as a recreational area where staff can gather to eat and enjoy digital contents using company tech that is expected to be introduced down the line. 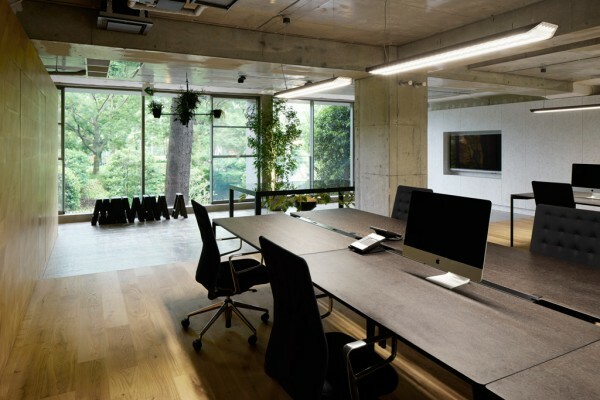 The inner west side space serves as a meeting room partitioned with colored glass while also serving as a relaxation area thanks to the installed sofa. The oblique grain arrangement of the incombustible plywood finish and the painted white textured surface of the OSB panels lend a softness that contrasts with the coarse appearance of the existing framework. 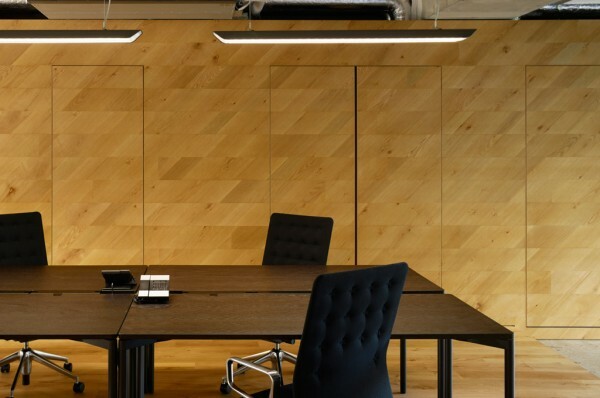 The distinctly original materials and components, including hanging planters and lighting equipment with smartphone-controlled dimmers, harmonize well together. We strived to create a multipurpose space that would serve as an environment to encourage development thanks to what we consider the site's most appealing feature – the double panoramic glass walls with their background scenery – and other careful touches that we applied.